Backpack? Check. Lunch? Check. Passport? Check. 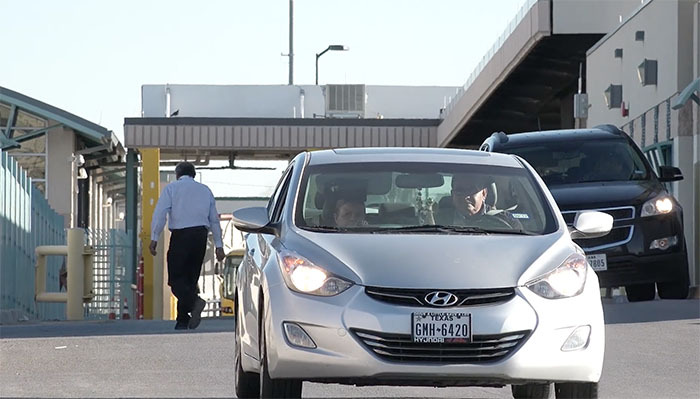 Students living in Juarez and commuting to El Paso have a somewhat different morning routine – adding their passport to the morning checklist before running out the door every day. They are screened daily by Border Patrol agents as they make their way across state lines and head to school. Erick Valdez, 20, and Elias Castillo, 20, both of Juarez now studying at the University of Texas at El Paso have been making this trip for over six years. A commute that could take up to 90 minutes each way without the benefit of a SENTRI card, pre-clearance pass. And now under new administration these students are seeing some of their fellow commuters facing more and more questioning.